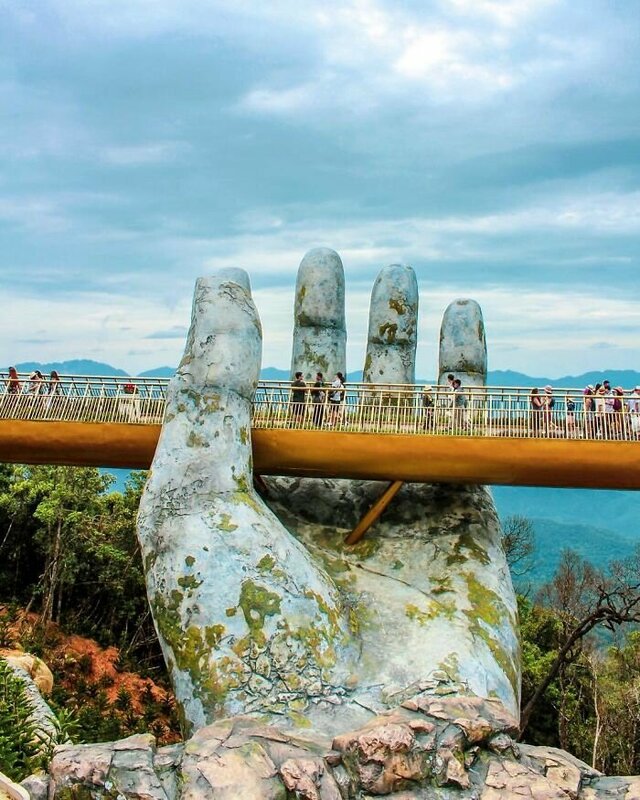 In the mountains of Vietnam, in the Bà Nà Hills resort, near the city of Da Nang, stands an incredible pedestrian bridge that looks straight out of a fantasy movie like Lord of The Rings. The bridge just opened last year, and has attracted tourists from all over the world in the short time that it has been open to the public. The bridge is just under 500 feet long and 3,280 feet above sea level. It was designed to connect the cable car station with the nearby gardens of the resort. The bridge provides a scenic overlook into the beautiful mountains. The bridge loops nearly back around to itself, and has two giant stone hands designed to appear to support the structure. The bridge was designed by TA Landscape Architecture based in Ho Chi Minh City, on behalf of the Sun Group. The company’s founder, Vu Viet Anh, was the principal designer. The concept of the bridge was not only arising from its shape but from its story as well. As an expanded part of the Avatar Garden, the bridge continues to exhibit its existing theme that focuses on the myth of Gods, human and nature. For the general concept of a being superior to humans, “gods” are usually illustrated as supernatural large-scale human-like beings. For that reason, extensive body parts, a huge pair of hands in this case, were handled in such design since unusual elements commonly spark attention and curiosity from visitors as well as astonishing them. 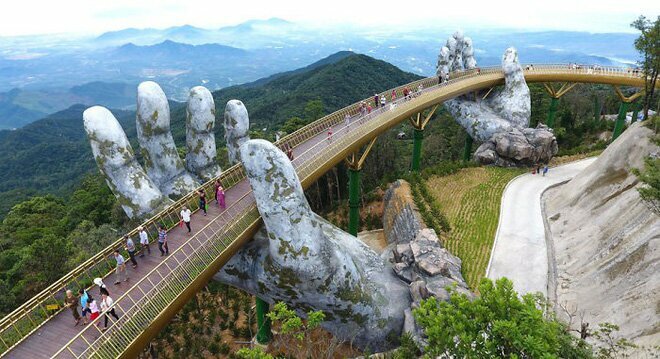 The remarkable appearance of two huge grips looks like they drew the bridge out from the ground and adore it as it were a gift from nature. In addition, local mountainous foggy and hazy weather helps promote the design aesthetics as well. The bridge is reportedly part of a $2 billion project to attract tourists to the area. 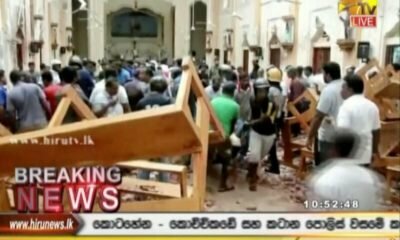 Reuters caught up with some tourists last year after the grand opening, and all of them were astonished by the marvelous feat of architecture. “I feel like I’m walking on clouds. It’s so unique,” tourist Vuong Thuy Linh said. 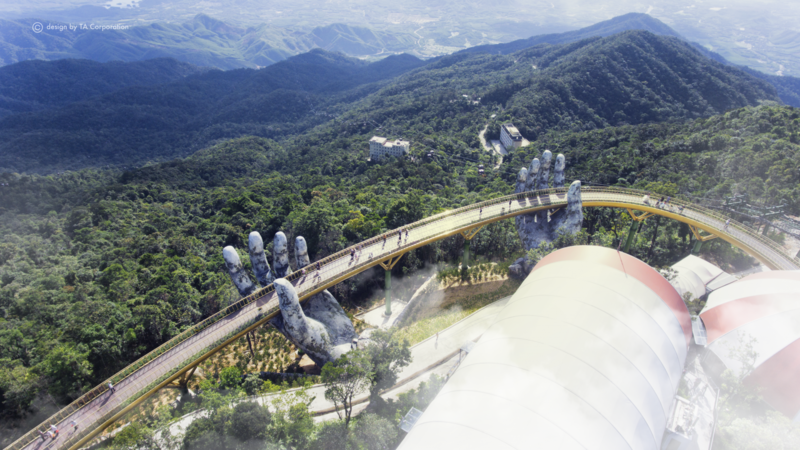 “It creates a walkway in the sky, among the foggy and fairy-like lands of Ba Na mountain,” Anh another tourist said. “The two, smooth, giant hands look real. It makes me feel like humans can do anything” said Truong Hoang Linh Thuy. The Bà Nà Hills has seen over 2.7 million visitors in the past year, according to the Vietnam National Administration of Tourism. According to Travel Sense, it is a journey in itself just to get to Bà Nà Hills, and could take the entire day if you decide to stop and see all of the other sights along the way. 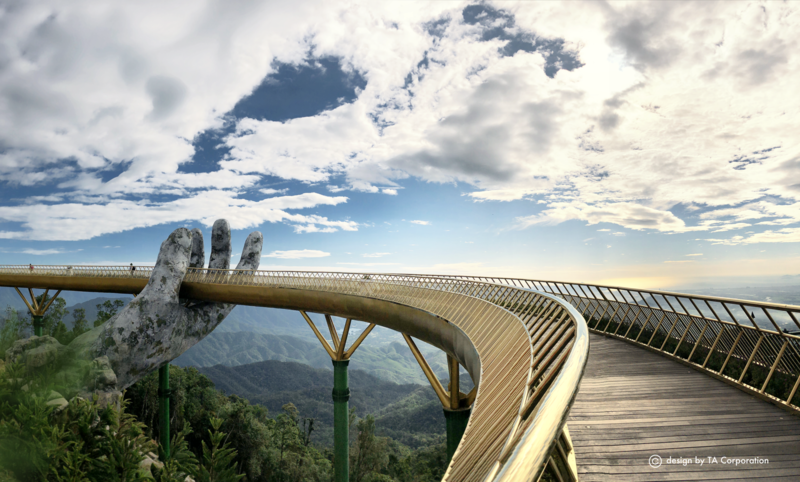 “In order to visit Ba Na Hills and Golden bridge, you should spend at least a half day. From Danang city, you will transfer to Ba Na Hills, about 35 km from city center. Then you will take Cable Car which gains 5 world scores to Ba Na hills station. You make a stop at By Night station to visit Vong Nguyet hills, Linh Ung Pagoda, The Old Villas of French. Continue moving up by cable car to the Nui Chua Mountain – the top of Ba Na range, you will visit Nghinh Phong top, Le Nim Villas, Orchid Garden,” Travel Sense says. The destination has become so popular for tourists that it is regularly sold out, and it has become important to take the trip at the perfect time, which is very early. Walk My World shared its strategy and experience. “Timing is everything with the Golden Bridge and every minute counts. We’d go as far as to say that unless you can cope with mega crowds – and we mean MEGA – then you need to be on that first cable car at 7am. Sometimes we go to places and arrive early only to find that we have so much time to ourselves we could have actually come a little later. This is not one of those times. And bear in mind we visited on a Tuesday in off season. It’s safe to say that this is one of the most crowded places to visit in Vietnam. 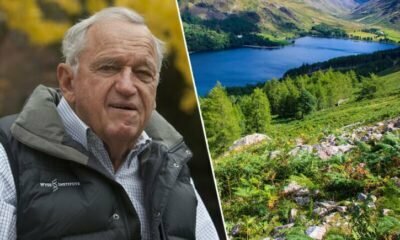 We were literally the first people up in the cable car and around 15 people were minutes behind us,” Cat and Joe of Walk My World said.